This website is owned by individual and all information provides here is for general information purpose only. 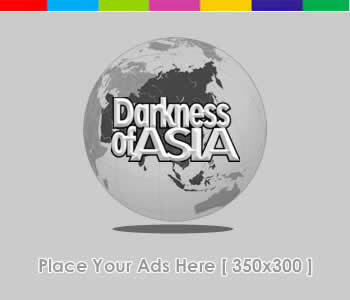 All copyright, trademarks, design rights, and other intellectual property rights provided in this website are belonged to DARKNESS OF ASIA SITE and protected by law. We hope all of you who use information from this site, please write down our website as the ultimate source. If you use information provided on this site but for any reasons you do not cite it well or use it for any illegal aims, there may be some consequences happened to you for example legal sanction for plagiarism or direct cancellation of your access to this website without any prior notification. So, for you whom we believed as wise internet users, please respect our term of use of this blog by using all information in this website for good aims. We will respect you if you do the same way to us and our site. Thank you and I hope the information provided in the site be helpful for you.